Jacob Borg (far left) reacts after Finn Harps earned promotion to Ireland's Premier League. Pistoiese defender Zach Muscat played 77 minutes in their goalless stalemate against Alessandria in the Serie C.
The Arancioni, who are 17th in the 20-team league, will face Cuneo away next Sunday. At youth level, goalkeeper Rashed Al-Tumi kept a clean sheet in Palermo's prestigious 2-0 away victory over Juventus in their latest Primavera championship outing. The Rosanero, now 7th on 13 points, will host Udinese next Saturday. Malta defender Nicole Sciberras featured in Grifone Gialloverde's Serie C appointment against Salento Women, with her team emerging winners 3-0. Grifone are now second on nine points, behind Napoli who are leading due to a better goal difference. Luke Gambin's Crawley Town suffered another heavy defeat after MK Dons completed a 4-0 rout in League TWO. The Malta international played 70 minutes in his 10th appearance for the Reds. Crawley are currently 12th, on 23 points, and will face Southend Town next weekend in the FA Cup First Round. Sam Magri, who has a handful of caps for Malta, played for Ebbsfleet United as they defeated Barrow 1-0 in the Vanarama National League. Ebbsfleet are 15th on 23 points. Next weekend they will be in action in the FA Cup as they host Cheltenham Town. Andrea Borg played part in the final quarter of Kettering Town's 3-0 win over Needham Market, in England's seventh-tier. Kettering face Stamford Town in next weekend's FA Trophy Second qualifying round. Joseph Ellul featured in Braintree Town's 1-0 defeat to Aldershot in their latest Vanarama National League's commitment. Braintree are now lying 14th on 23 points, a point behind Aldershot who overtook them after Saturday's direct encounter. Elsewhere, Matlock Town's Lee Ciantar is currently playing friendly matches for the Gladiators as he is still awaiting international clearance, despite joining the club in 2017. Ciantar was also part of Malta U-19's team who faced Macedonia in a double-header earlier this year. Andre Schembri's Apollon Limassol will host Eintracht Frankfurt on Thursday, in their fourth group stage game in the UEFA Europa League. Meanwhile, Apollon conceded a narrow defeat in last weekend's league outing when Anorthosis claimed a 2-1 victory. Schembri was deployed on minute 67 but could not help his side avoid a defeat as Apollon are now third on 16 points, six behind leaders AEL but with a game in hand. 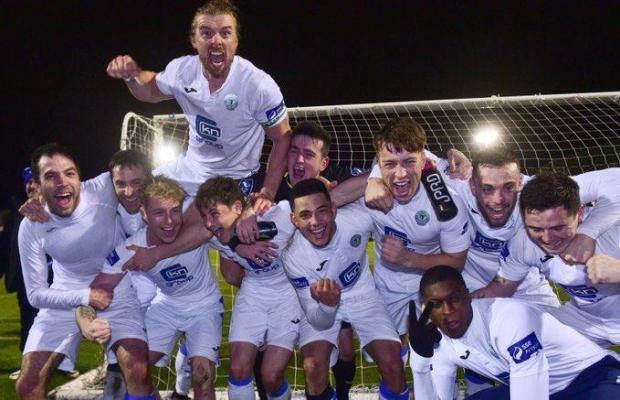 Jacob Borg played the whole 90 minutes in Finn Harps' magical night as the defeated Limerick 2-0 in the return leg to claim promotion to Ireland's Premier League. (An interview with the former Gżira United and Balzan defender will be published on the Times of Malta in the coming days). Youth Dany Testa played for Greystones United Seniors B in their 3-2 victory over Leicester Celtic.